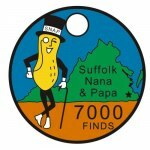 Geocaching Hides in the Hampton Roads area. Only a few more days remain to find all the caches in the SNAP!! !-land series!! !